When cash flow becomes a problem, it’s easy to try to bury your head in the sand. This won’t help your financial problems. You need to face them head on, which is where a pay agreement could help you. Most creditors, including HMRC, are willing to set up pay agreements to help cover company debts and future payments as long as you are upfront with them. This is when you negotiate with a creditor or company that you owe money to for services to arrange an agreement that you can both work with. You make it clear that you are facing temporary financially difficulties and you need to set up this type of agreement so that you work on the debt without causing further problems money-wise. Companies don’t have to agree to this but the majority will. It is better for them to accept lower payments on a monthly basis instead of forcing liquidation, where there is a chance that you will not be able to pay the full debt with your assets. HMRC also see this as a better option than a winding up petition, which is an extremely expensive form of forcing you to pay the money you owe. The best thing to do is contact the people you owe the money to immediately. 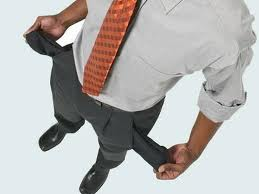 Explain that you are struggling with your cash flow but want to clear the debt. If you do this before they have a chance to send out a reminder for the payment, they will be more sympathetic and willing to set up something that suits them. If you are still doing business with them, you will need to think about upcoming payments to make sure you cover everything. The companies will usually look into your account and inform you of a minimum that they are willing to accept. You may find that companies want the full amount within a certain time period – for example, HMRC prefer their instalments to last between three and six months. Some companies will require proof of your financial problems. This is so they have an idea of how long the repayments will take and that you will have the money coming through. Whenever you set up a pay agreement, you will need to stick to it. The companies will not push you for clearing the debt faster once setting up the agreement – legally, they can’t – but only if you make every payment on time each month. If you miss one payment, they have the right to claim the money through other methods. If you are struggling financially, it is worth talking to the companies. Honesty is the best thing but it may be worth hiring an insolvency practitioner, who will be able to help find the best option for your needs and help organise the pay agreements. An insolvency practitioner will also be able to help with improving your cash flow and easy your financial agreements in the future. Keith Tully has written many business articles for Real Business Rescue. Over the past year, he has covered topics including tax and HMRC, winding up petitions and help with insolvency options. Real Business Rescue is a team of insolvency practitioners helping businesses and companies understand their rights when running into financial problems.